The most common question that people ask themselves before buying a car is "how much car can I afford?" As simple as it seems, this is the most important question to answer in the entire car buying process. The last thing that you want to do is end up with car payments that you can't afford. You don't want to end up in a situation where you bought too much car and are forced to miss payments. You'll start hurting your credit and may get your car repossessed. If that happens, the damage done to your credit will make it very difficult to get a replacement that you can afford? We recommend that you don't spend more than 10% of your monthly income on your monthly car payment or payments. Your cars are first and foremost a necessity to get you to work, shopping and wherever else you need to go. Their primary purpose isn't to impress your friends and neighbors. Don't put your financial health at risk so Bob across the street can tell you how nice your new car is. Notice I said not to spend MORE than 10% of your monthly income on car payments. You need to make sure that you can afford to spend that maximum amount. Sit down and calculate your income and all of your expenses to see how much you have left over. To help you get your budget in order, we have created a free budget spreadsheet that you can use. Just enter your income and expenses and leave the slot for your new car payment blank. Your cash flow at the bottom will show you how much you have left over each month. Remember, this does not mean you have to spend everything you have left on your car payment. If the amount left over is less than 10% of your gross income then be very careful about how much you budget for your monthly auto payment. You don't want to leave yourself without any emergency cash. Once you have determined your monthly car payment budget, enter it and enter an estimated interest rate for the loan and the spreadsheet will tell you how much you can borrow. Make sure to get an insurance quote on the car you are interested in to include in the spreadsheet. Keep in mind, you will have to have enough money saved up for the down payment. We don't recommend putting less than 20% down for any vehicle purchase. If you put less down, you can end up "upside down" and owe more than the car or truck is worth. Getting upside down on a loan can lead to financial disaster if the vehicle is totaled or stolen. Read our section on car finance. One thing you will learn is that you can often get a lower interest rate by financing through a third party instead of through the dealership. You should visit LightStream, Up2Drive or, if you have less than perfect credit Auto Credit Express and see what rate you qualify for. You'll be amazed how much you can save over financing at the dealership. Using our free spreadsheet you determined how much you can afford for a monthly payment. However, this does not mean that you have to spend this much. Whatever you do, do not tell the dealer how much monthly payment you can afford. As soon as you give them that information, you may as well have your paycheck direct deposited into the dealer's account. They will use tricks and underhanded tactics to get you to pay extra while keeping the monthly payment below the number you gave them. They will sneak in high interest rates, extend your loan term or throw in overpriced extras. They will keep you focused on your monthly payment amount and convince you that they are giving you a great deal because they came in $10 a month below your budget. As we talk about in our guide to buying a new car, start by negotiating the price of the car. Our budget spreadsheet told you what loan amount you can afford. Add that to the down payment you can afford and that will be the maximum price. Use your maximum price to determine what model you are interested in based on that price range. Now, use everything you learn from us to get that price as low as possible. The key strategy is to get multiple dealers to compete for your business. Start by using TrueCar to see what others in your area have paid for that make and model. Use thier guaranteed price certificate as a starting point in negotiations. 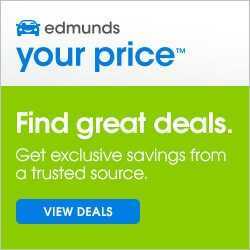 Get more dealerships into the mix using reputable sites like CarClearanceDeals and Edmunds. We have always said that just because you negotiated a great price doesn't mean that you are getting a great deal. The price is only part of the deal. Reading this blog post has made you a better negotiator than 90% of people. If you want to truly negotiate like a pro, you must read all of our advice on the site. Then you will be educated and know every move the salesperson will make before they make it. You'll be prepared to counteract every trick and get yourself a truly great deal!